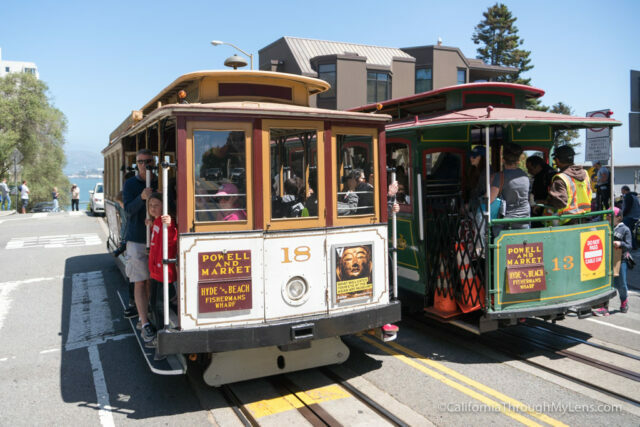 The San Francisco Cable Cars are one of the only moving national historic landmarks in the United States. 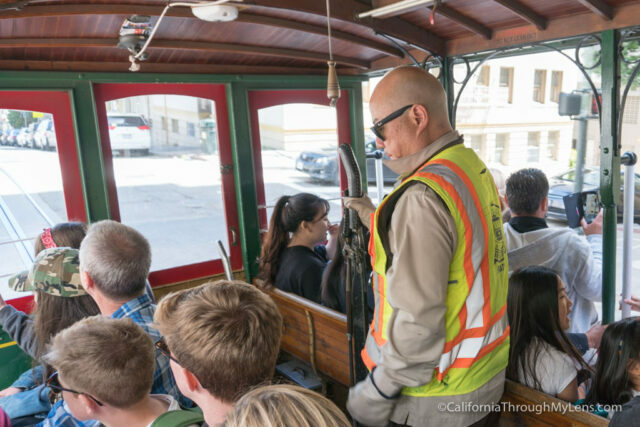 They are such a fun part of California’s history that no trip to San Francisco is complete without taking a ride on one of them. Luckily it is pretty easy to do, and I have a few tips for maximizing your time on the cars below. 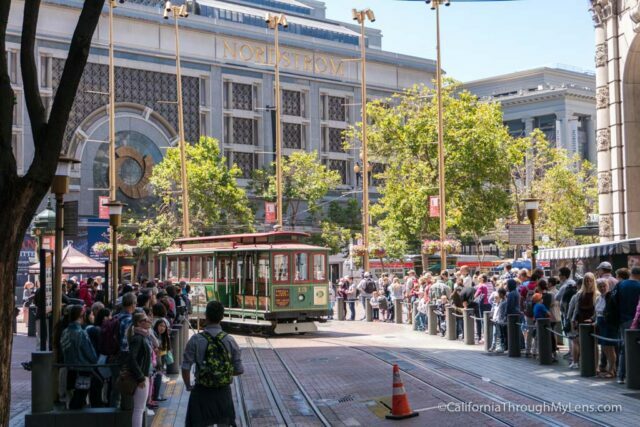 There are three lines for the cable cars in San Francisco, but the most popular are the two lines that lead from the Powell St Metro Station. 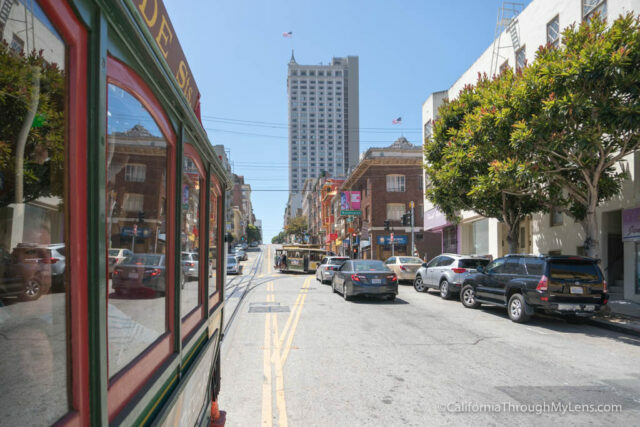 You can ride the metro into the city and exit there, and as you come up, you will see the cable cars right in front of you. This is where the ticket booth is at to buy a ticket as well. Usually, there is a pretty big line to ride the cars in both the summer and during the weekends. It’s not uncommon for there to be a line over an hour and if you are a big party, then this is pretty much what you have to do. Pro tip: If you are a party of two or so, go up the street about two blocks and wait on the right side. They don’t usually fill the cars all the way up, and when they stop there, they often let on 2 – 4 people. I have done this multiple times, and it has saved me 45 minutes each time of waiting. When you board the car, the best place to ride from is hanging on the edge. This is the most fun experience, and it lets you see why these cars were so popular. It is hard to get this spot because it is coveted but if you can get it, it is worth it. Hanging on takes some arm strength, and there isn’t much room, but it is so fun to ride like this and narrowly pass the other cable cars along the street. If you get a seat and have no one in front of you, be prepared for that to change as well since they are always loading more and more people onto the side at other stops. The car eventually reaches Lombard St after about 10 minutes of driving, and this is where I usually get off. 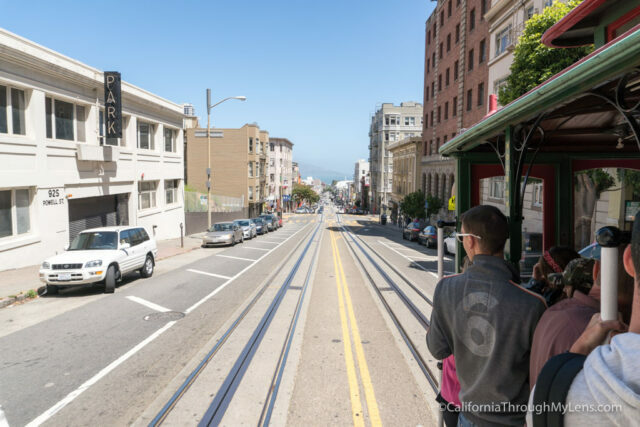 You can take it down closer to the water but it is fun to be dropped off at this famous street, and you can read how to explore it here. 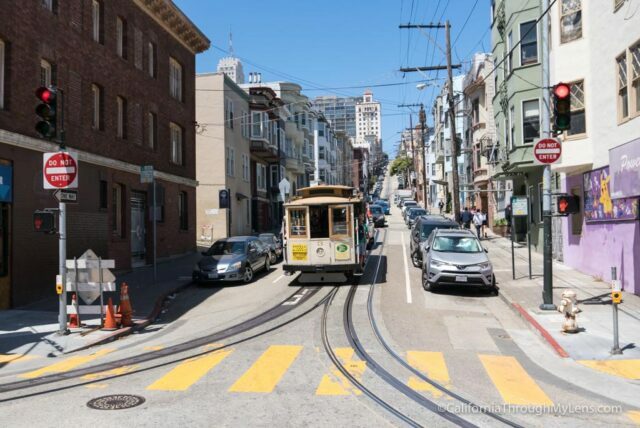 As you can see, the cable cars are a must do in San Francisco. 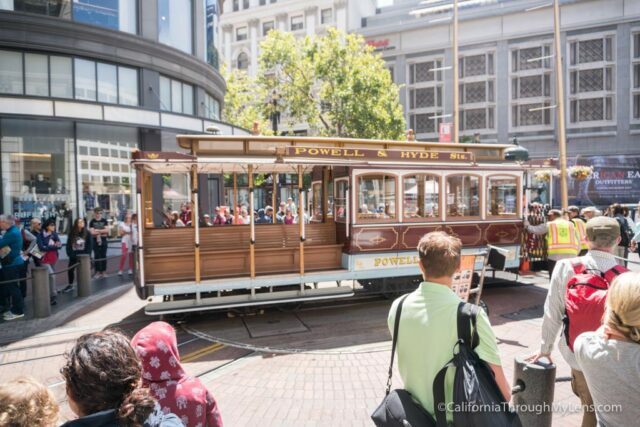 Taking the historic ride around the city is something you will be sharing with others for a long time. Let me know what you think in the comments.